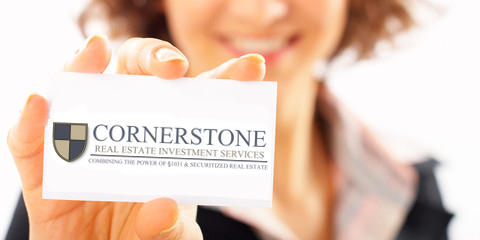 Most tenants-in-common investments are structured and offered as securities under the Securities Act of 1933 which requires the investor to be provided with a private placement memorandum (PPM) created out of significant due diligence from the real estate company, the lender, the attorney, and the securities industry. Therefore, the investor can now enjoy the best of both worlds--the full disclosure of a security and the tax advantages of real estate! due dil.i.gence: the analytical process of the facts and circumstances associated with an investment, intended to provide an investor with a full disclosure of facts and risks in order to arrive at an investment decision. Performing the necessary due diligence on any investment is both recommended and necessary. Our brokerage is committed to performing thorough due diligence on each perspective Tenant-in-Common (TIC) offering before it is presented for investor consideration. This due diligence, or the thorough analysis of property facts and risks, should be performed on every tenant in common offering before the decision to invest is made. Due to the timing restrictions involved with a 1031 exchange, investors are often rushed, thereby making it difficult to gather enough information to make a suitable replacement property decision. Our brokerage commitment is to review, analyze and identify TIC replacement property choices through a careful analysis and evaluation. 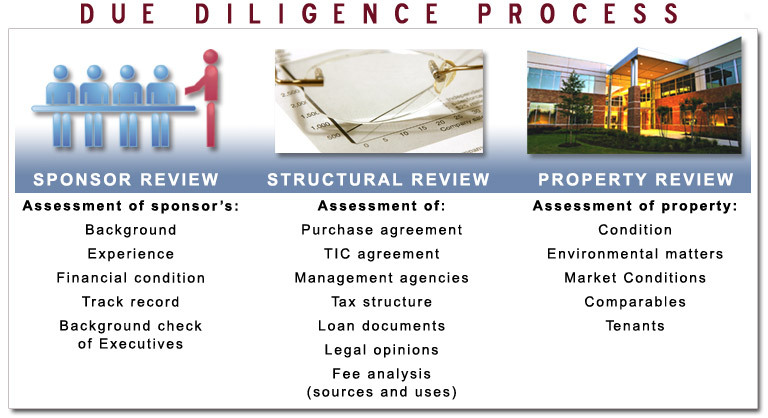 The Due Diligence at our brokerage is at the core of the value proposition offered to clients. In order to give each potential offering the attention it needs, The brokerage due diligence department has full-time analysts whose sole responsibilities lie in reviewing each offering that comes to the tenant in common marketplace. These analysts have identified the following five key areas of due diligence as their focus before replacement properties are selected and presented for investor consideration. After a potential offering has gone through the due diligence process, the assigned analyst presents their findings to our Investment Committee, where it is again reviewed for potential approval. Each member of this committee has many years of commercial real estate experience and an aptitude for the 1031 exchange marketplace. Once an offering has gone through this examination by internal and external parties, and is found to be a sound offering, it may be approved by our investment committee and will then be presented for investor consideration.